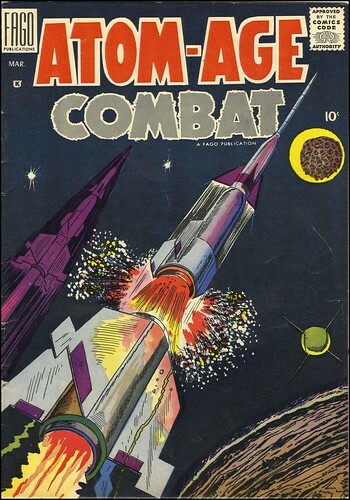 Here are the covers for the first three issues of what I'm sure is a wonderful comic called Atom-Age Combat. 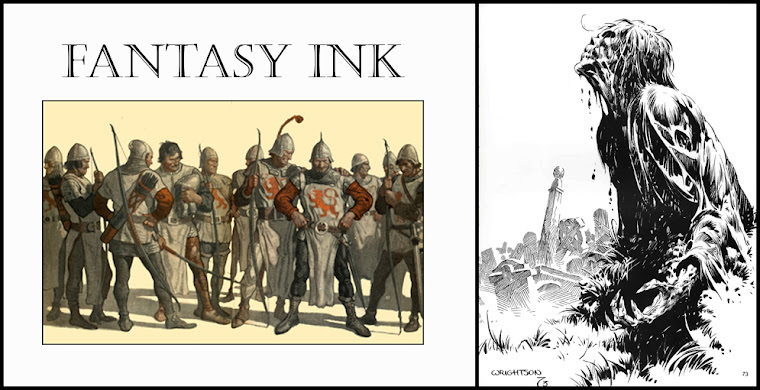 These issues were published by St. John Publishing in 1952. 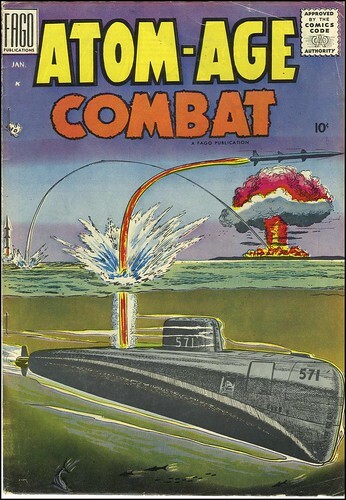 I particularly like the submarine cover for issue #2. 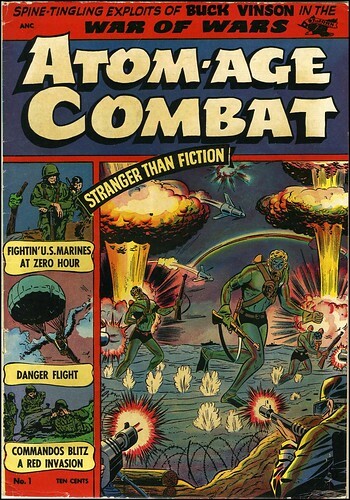 Update: Thanks to a helpful comment from JRSM, I've learned all five issues of Atom-Age Combat are available for download here.